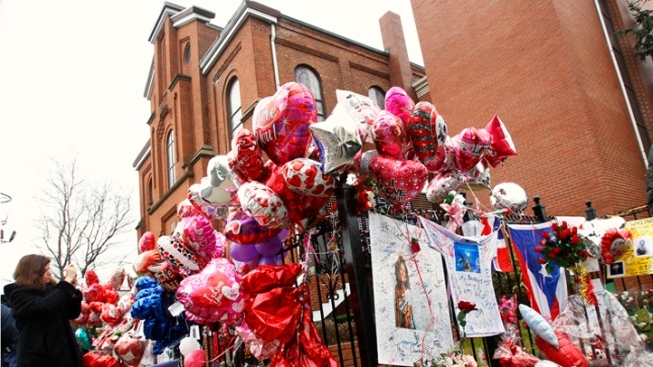 A woman takes a photo as many fans pay their respects with flowers balloons photos and personal messages to Whitney Houston at New Hope Baptist Church, in Newark, N.J., Wednesday, Feb. 15, 2012. Whitney Houston’s family will hold a private viewing of the body Friday at a New Jersey funeral home, one day before music’s biggest names will join in honoring the superstar at her childhood church. Stevie Wonder and Aretha Franklin are slated to perform at Houston’s funeral Saturday at New Hope Baptist Church in Newark, where Houston once sang in the choir. Franklin told NBC’s Al Roker on “Today” Friday that performing is “not going to be easy, let me tell you that.” But she said Houston’s mother, Cissy, had requested she sing and she agreed. “I’m just going to try to do my best,” Franklin said. The Queen of Soul said she first learned of her Houston's death last Satuday at age 48 while watching TV in a hotel room in Charlotte, N.C.
Houston, who she used to call by her family nickname Nippy, had recently looked healthy and seemed on the verge of a comeback, Franklin said. She always had a special “little twinkle in her eye,” Franklin said. On Saturday, Houston will also be memorialized by her longtime mentor, record producer Clive Davis, and by her “Bodyguard” co-star Kevin Costner. Grammy-winning gospel singer and longtime family friend Marvin Winans will deliver Houston’s eulogy. His siblings, the gospel duo BeBe & CeCe Winans (also Grammy winners), could sing at the event, according to the New York Daily News. Houston's cousin Dionne Warwick was also expected to be at the funeral, along with Tyler Perry, R. Kelly and Alicia Keys, NBC News reported. Houston's on-again off-again boyfriend Ray J said in a statement to The Associated Press Friday that in recent days he's been trying to "process the emptiness that I feel." "Nippy I miss you so much!" he said. Ray J's rep confirmed to the AP he would attend Houston's funeral. Other celebrities who could be in attendance include: Ray J's sister Brandy, the Rev. Jesse Jackson, record exec L.A. Reid, singers Valerie Simpson, Chaka Khan and Darlene Love, the Daily News reported. Jay-Z, Beyonce, Elton John, Oprah Winfrey and Bill Cosby have also reportedly received invites. It is unclear if Houston's ex-husband Bobby Brown will attend. He performed with New Edition to a full house Thursday night in Maryland, NBC Washington reported. "I'd like to say thank you for your prayers," Brown told the crowd. "I'd like to say thank you, period. 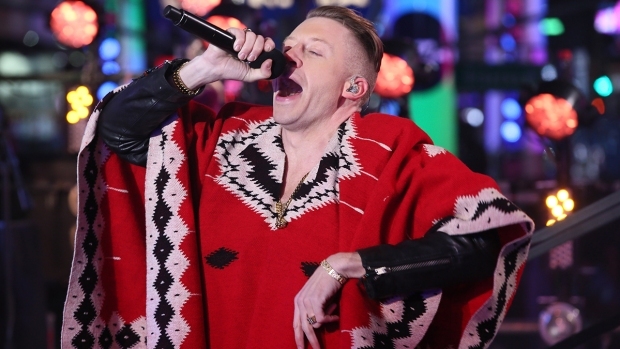 I'm going to throw two up for Whitney, that's my love." The group heads to Connecticut Saturday night and will play in Newark on Sunday. Newark’s top cop urged Houston’s fans Thursday to “respect the wishes of the family” by allowing them to “grieve without interruption” at her funeral, the Star-Ledger newspaper reported. Police plan to block off about six square blocks that surround the church, Newark Police Director Samuel DeMaio said. Fans are being urged instead to stay home and watch the private funeral live on TV or the Internet. The AP will be allowed a camera for the service and viewers can watch the funeral here (9 a.m. PST, noon EST). After the funeral, Houston's body will be laid to rest next to her father, John Russell Houston Jr. at Fairview Cemetery in Westfield, N. J., a source close to the family told the AP. In Los Angeles, police investigating Houston's death have now questioned her doctors and received her medical records, NBC News’ Jeff Rossen reported. L.A. Assistant Chief Coroner Ed Winter has said such inquiries are routine for death investigations. Meanwhile, singer Dolly Parton released a statement Friday saying that her heart was with Houston and her family. 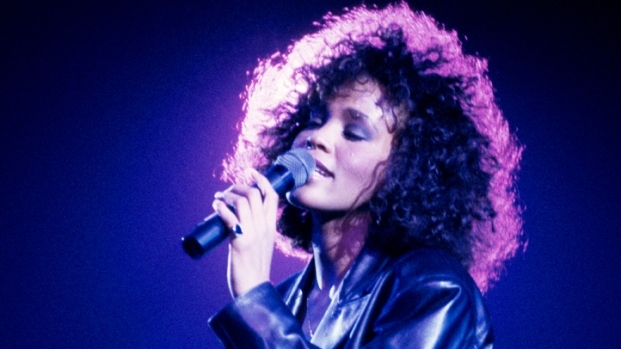 "I did not know Whitney nor any of her family personally," she wrote, "but she will always be a part of my heart and I will always be grateful for her awesome performance and success with our song 'I Will Always Love You.' Rest in peace, Whitney."